One trend I've been absolutely loving this spring are woven/straw bags. Unfortunately, every time I have found one I love it was either sold out or way out of my price range. 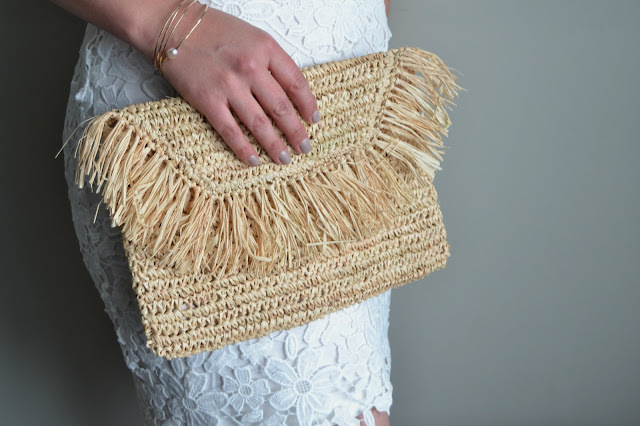 So, when I stumbled upon the cutest straw clutch the other day, it was in my cart and purchased within minutes! With our upcoming trip to Kauai for a friends wedding, I knew I'd get a lot of use out of it. I'm already planning my outfits, and I know this will be in heavy rotation. It can be dressed up for a fun evening out, or would look great with a casual summer dress for an afternoon wine tasting. I also have my eye on a few larger bags that would be great for the beach in Kauai and perfect for Sunday morning at the farmers market. 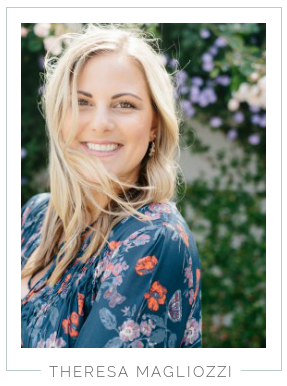 I love these from Lauren Conrad's The Little Market, but I'm keeping my eye out for a more affordable option before I take the plunge. I remember my Mom brought a similar one back from Africa when my parents went, way back in the 90's I think, I should see if she still has it! So funny that I think of her bag every time I see one now. It's so random how some memories stick with you for no apparent reason. What do you think of this trend? To me, a few bags I've seen look a bit like you're carrying around a basket meant for home decor or storage, but when it's done right I love it! I've linked a few of my favorites below, including mine.